On the night of 15 May 1829, Felix Mendelssohn had a nightmare about Giovanni Battista Velluti, the last great operatic castrato. Velluti's voice had been in the German's head since that afternoon, when they crossed paths at a concert at the Argyll Rooms on Regent Street in London. There he had heard the "poor wretched creature," as he called him, sing an aria by Bonfichi and a duet with Henriette Sontag, Mayr's "Deh! Per pietà" from Ginevra di Scozia. The singing of the "confounded" Italian "so excited my loathing," Mendelssohn remembered, "that it pursued me into my dreams that night." Three days later the young composer-performer was at his desk at 103 Great Portland Street writing to a friend. Outside he again spied the castrato going about his chores. "Velluti," he wrote, "is just passing beneath my window." His simple observation seemed to pinpoint the cultural position of a singing species that would not go away. This was the fate of the castrato: he haunted cosmopolitan European culture, lurking just below its "window." When the critic for the New Monthly Magazine heard Velluti's London debut as Armando in Meyerbeer's Il crociato in Egitto and his opening accompanied recitative, "Popoli dell'Egitto," in 1825, he wrote that they "came upon the ear like the spectral moan of an unearthly being." The critic's language, as we shall see, was fired by a press dispute instigated by the Times in relation to this performance. A year later, the New Monthly Magazine rejoined that Velluti's Armando "had to us something unearthly in it." "On seeing the thin, tall form tread the stage in armour, we felt a sensation which we cannot describe," the writer mused. "It seemed as if we saw a spirit glide before us." The male soprano, for this critic, was a "twilight figure," encountered as if one were inhabiting a dream. It was little consolation that Meyerbeer had composed Armando for and in collaboration with Velluti. In Paris, Honoré de Balzac constructed the hallucinatory world of Sarrasine (1830) around the specter of the castrato's presence. The novella was probably written with Velluti in mind, the singer having visited Paris in April 1825 on his way to London. "I was deep in one of those daydreams," the now-famous story opens, "which overtake even the shallowest of men." By way of explaining the strange wealth of the De Lanty family and the "fragile machine" who lives in their midst, Balzac's narrator tells the tale of a castrato and a young sculptor named Sarrasine. While in Rome, the Frenchman falls madly in love with the singer, believing him a woman. Sarrasine's error is revealed too late, only after he has desired too much. The story ends when Cardinal Cicognara, the castrato's patron, has the dangerously unstable sculptor murdered in order to protect his prize singer. As events unfold, it becomes clear that the source of the De Lanty's wealth is the shadowy half man who now lives in their mansion. The "real" backdrop for this story of extravagance, deception, and death-told in terms of reminiscence and metaphor-rests on his unsettling provision. The generation of Balzac and Mendelssohn, in other words, imbued the figure of the castrato with its phantasmic charge. Donning my psychoanalytic cap, I might claim that this generation pressed the whole notion of castration into its psychological or culturally repressed sphere. This would be the argument of Mladen Dolar's A Voice and Nothing More (2006), which-in well-rehearsed Freudian style-links our "fascination" for vocal sound to castration. (Dolar defends psychoanalytical notions of "the object voice" by describing it not in the Derridean sense as productive of fantasies of self-presence, but as always already differentiated-as proof of subjective lack.) Beguiled by this uncanny sense of voice, I could argue that castration anxiety emerged as the founding moment of adult sociability and subjectivity at the time of Mendelssohn's dream. (The word "subconscious" in the English language, after all, was apparently first used by essayist Thomas De Quincy as late as 1823.) Such a position might seek out early articulations of the phallus as causative principle not only for gender differentiation but for the whole possibility of intersubjective desire. Mendelssohn's eerie encounters with Velluti thus might be taken to foreground the birth of Dolar's castration complex and the historical experience of castration as social death. Via his voice, psychoanalysis might say, castration emerged as the ghost haunting the symbolic order of "modern" culture. Let me put this in less overwrought ways. How best to explain why the castrato became anathema? Why did Mendelssohn have this dream? Why was it at these specific moments that the castrato became not only unpopular but impossible? As Martha Feldman, Suzanne Aspden, John Rosselli, and many others have shown, unease over the castrato (as a symbol of luxury, effeminacy, popery, and artifice) was as old as the castrato himself. These singers suffered constant vilification for different reasons at different times by different communities and commentators. Velluti, moreover, achieved his fair share of praise in the 1820s, even from such reform-minded critics as Richard Mackenzie Bacon, who lauded his chaste delicacy. In 1827 the Atlas reported that demand for them had actually redoubled in Rome recently under the tutelage of maestro Sogatelli. Male soprani were feted even beyond the nineteenth century, as the career of long-standing Sistine Chapel castrato Alessandro Moreschi, who sang as late as 1913, implies. On the one hand, attacks on Velluti continued a long and often xenophobic tradition. On the other, a clear fault line opened up for an increasingly authoritative (and authoritarian) coterie of opinion formers in 1820s London, the castrato becoming unnerving enough to provoke apprehensions of nonbeing. In what follows I first propose a series of theoretical frameworks to explain this historical slippage, exploring the abjection of not only Velluti's vocal sounds, but also those of the female contralto musico. The insights reached are then tested against the reception of Velluti's performances in Regency London. His public appearance provoked trenchant reactions, reactions of such pleasure and disgust as to throw theoretical conclusions into sharp relief. Finally, I reconstruct Velluti's vocal manner via a single musical number, an aria from Francesco Morlacchi's opera Tebaldo e Isolina, using the rich documentation of the castrato's interpretation of that number in García fils's singing treatise Traité complet de l'art du chant (1840-47). My analysis reads Velluti from the point of view of his harshest critics, hearing "the twilight of the castrato" both in Morlacchi's score and the singer's "otherworldly" appearance in it. Velluti's vocal manner was physical-inevitably so. Yet for his detractors, castration spelled failure, even "disembodiment." The overripe materiality of these sounds sickened. One way to characterize the castrato's fall from grace would be to survey developments in vocal science, as Gregory Bloch has done. Velluti passed "beneath the window" when the issue of vocal placement was under urgent review. In the 1820s, studies of vocal function largely continued in traditional vein. Scientific discussion still invariably hinged on the fragile question of whether the vocal apparatus best resembled a wind, string, or reed instrument. In Paris, physician Félix Savart's widely read "Mémoire sur la voix humaine" (1825) revived ancient Galenic wind analogies by concluding that a hunting whistle proved the best resemblance to the vocal organ. In London, it was more usual to describe "a double mechanism," as James Rennie did in his natural philosophy of that same year. Rennie followed Balthasar-Anthelme Richerand in naming a wind-string apparatus, his identification confirming the human voice's perfection in relation to lower, inflexible instruments. Charles Wheatstone described the vocal chords as a vibrating reed attended by an ever-modifying larynx, which, trombone-like, shifted the column of air by continually shortening or lengthening its tube. 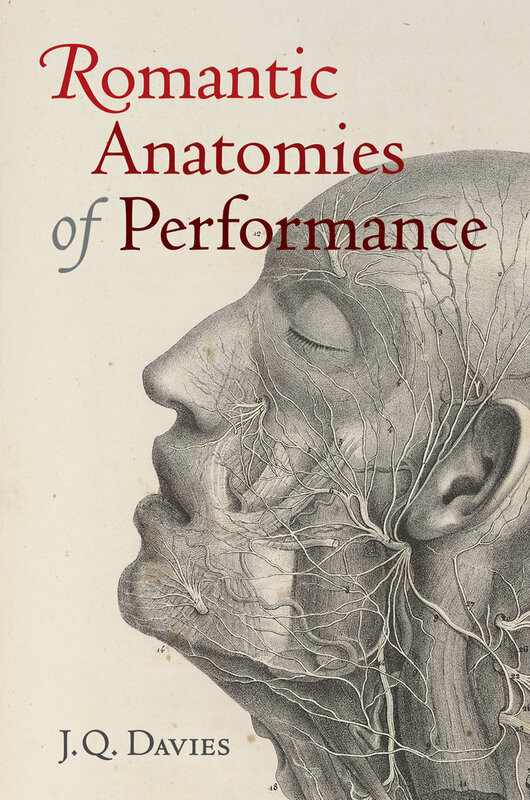 A still oft-cited statistic in London was John Barclay's early-century enumeration early in the century of all possible movements of the organ: fifteen pairs of muscles capable of upward of 1,073,841,800 combinations and, in cooperation with the seven pairs of the larynx, 17,592,186,044,415. To be clear, this was an apparatus of fabulous profusion. The cultivated larynx dispensed "airs" of precision and very little essence. The equivocation of this fluctuating, variable body-deviation-is what made it human. Romantic Anatomies of Performance is concerned with the very matter of musical expression: the hands and voices of virtuosic musicians. Rubini, Chopin, Nourrit, Liszt, Donzelli, Thalberg, Velluti, Sontag, and Malibran were prominent celebrity pianists and singers who plied their trade between London and Paris, the most dynamic musical centers of nineteenth-century Europe. In their day, performers such as these provoked an avalanche of commentary and analysis, inspiring debates over the nature of mind and body, emotion and materiality, spirituality and mechanism, artistry and skill. J. Q. Davies revisits these debates, examining how key musicians and their contemporaries made sense of extraordinary musical and physical abilities. This is a history told as much from scientific and medical writings as traditionally musicological ones. Davies describes competing notions of vocal and pianistic health, contrasts techniques of training, and explores the ways in which music acts in the cultivation of bodies..
J.Q. Davies is Assistant Professor of Music at the University of California, Berkeley.